Today, The Times' Anatole Kaletsky has a must read piece dismantling the similar theory of 'Ricardian Equivalence' ... using Ricardo's own words. 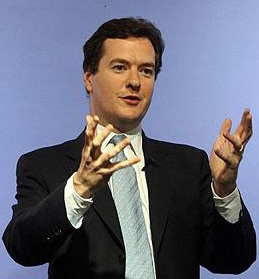 It is widely documented that George Osborne has no ‘Plan B’. The Government’s entire economic strategy is based on a belief that cutting back the deficit will free up the private sector to create jobs and growth. “[The Government] hopes that people will be impressed by its determination to cut borrowing and therefore to reduce potential pressures on the public purse — so impressed that consumers will spend more, businesses will create more jobs and entrepreneurs will start new businesses, all based on the confidence that their future taxes will be lower than today. “Why has the Government decided to bet the economy on this untested theory? Apart from the pure party politics of branding Labour’s policies as recklessly irresponsible, there is an interesting intellectual background to Mr Osborne’s faith that the confidence engendered by cuts will offset the depressing effects on demand predicted by Keynesian economics. “This was seized on by conservative anti-Keynesian economists as Ricardo’s endorsement of their view that government borrowing was indistinguishable from taxation — and therefore that cuts in borrowing would automatically boost private spending. “Mr Osbourne had better take note” But he won’t ! Ricardian equivalence: isn’t this the idea that rather than cut my fingernails each week I can just chop off my arm once– it’s basically the same thing. And you expect us to have faith in the TPA which can’t even deliver full and straightforward statistics, let alone interpret them without confirmation bias tampering. I suppose some allusion to the UK’s current credit rating and gilt yields might have helped Kaletsky’s ‘balanced’ analysis of Ricardian equivalence… Just a thought..
Expansionary Fiscal Contraction is about the most convoluted oxymoron, I think I have ever come across. Wage are growing at roughly 1/3 the rate of Inflation. Homes continue into a double dip recession. Are European Partner’s austerity packages prohibit their spending power & thus hit our exports. Where in the name of Good Lord is the expansion to come from? The only expansion we are likely to see is in bankruptcies & home reposessions. “Nudge” is clearly not on the Treasury reading list. If it was, and had been as influential as it is claimed to be in some policy making circles, then the Treasury would be unable to suppose humans make decisions in the way Ricardian equivalence demands. Government decision makers must know this; you’d have to be, amongst other things, an ideologue could deny it.